TARF, Grey Stallion, 2010 (Asad Saif / Narjis). IAHO is pleased to announce their 2014 WAHO Trophy winner. The award goes to the 2014 Derby winner, the grey colt TARF. 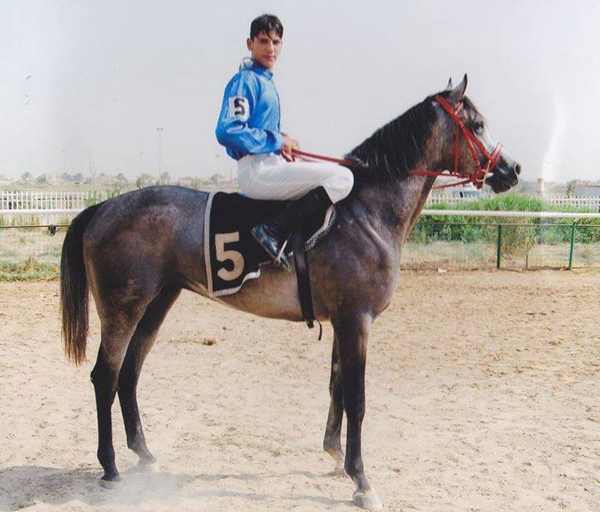 Apart from winning the Iraq Derby, this brave and good-looking grey stallion has also won 8 other races from his 15 starts and has been placed second 5 times, and third twice. His sire is a former WAHO Trophy winner himself and his dam, bred in UAE, is of French/Russian bloodlines. 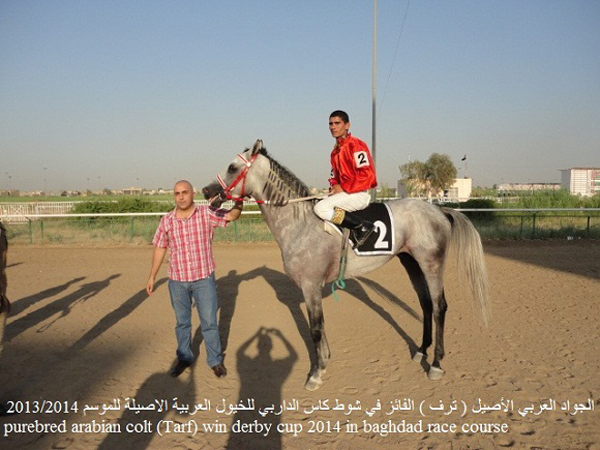 Tarf, winner of the Iraq Derby.